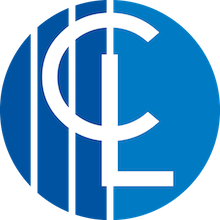 The Curriculum is at the heart of the learning experience at CLCC. We want students to leave us equipped to succeed. We ensure there is a clear focus on core subjects alongside ensuring students have quality learning experiences in the Arts, Humanities, Languages and PE. Students’ learning is further enhanced through a PSHE and Citizenship programme which builds skills needed as students move onto the next stage in their education. In Year 7 and 8 students are provided with the foundations that they need to succeed at GCSE. In Year 9, students are given an element of choice. A list of option subjects is shown on the Year 9 Curriculum page. Students at CLCC work towards GCSE courses in Year 9 so that when they make their option choices for Years 10 and 11 they are well informed about the skills needed in each subject and what they will be learning. In Years 10 and 11, we offer a wide choice of GCSE and BTEC courses alongside more vocational courses and the offer can be personalised depending on the skills and aptitude of the individual student. Beyond 16 the College offers AS, A2 Level and BTEC courses alongside a core curriculum. Nurture Group (students are identified with their primary schools if this is the most appropriate path). Three options are chosen and are studied for two periods each a fortnight. *Eligibility criteria applies to these option choices.